The one dimensional 1px artwork is an attempt to discover the limits of AR in the opposite, minimalistic direction. Never before was it possible to actually create a one dimensional item for real. The smallest creation on paper can still be measured, at some scale. One pixel on a computer screen is still 2D. It can be measured in X and Y direction. But in AR, the pixel as the smallest undividable unity, has no dimensional properties in any X, Y or Z direction. 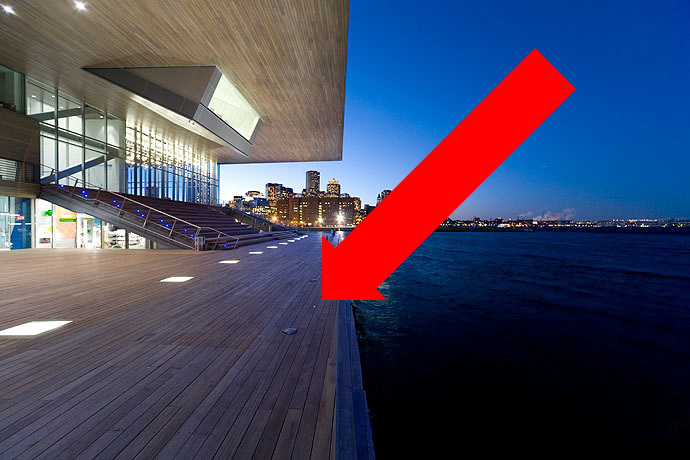 The only data involved, is the physical location: look for 1px at the waterfront of the ICA building using the Layar app on a smartphone.